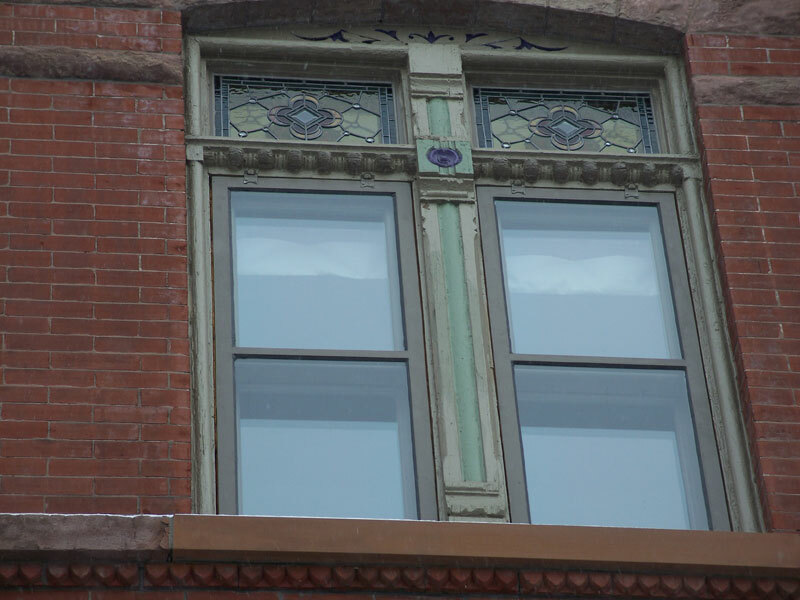 Many people today think of storm windows as a relic of the past. Perhaps you remember the ugly and drafty “triple tracks” of the 1950’s. However, in the last several years, a number of rigorous academic studies have shown that what was true in the 1800’s is still true today: Quality, properly fitted and installed storm windows are the most cost-effective and sustainable path to energy efficiency. You can read the studies here. Storm windows are known as “secondary glazing” in the trade. They are simply a second window fit outside of your existing window. They accomplish several things. They seal drafts out of your wall and create an insulating pocket of dead air between your existing window and the storm. They also protect your primary window from weathering. And finally, with the recent development of low-e glass, they can contain an invisible coating which reflects radiant heat back into the house. Combined with proper weather stripping of the primary sash, they provide nearly the same performance as a modern, insulating glass window. Another advantage is that they can be repaired with simple materials. Modern insulating glass units offer excellent energy performance, but the glass seals have a limited lifespan. 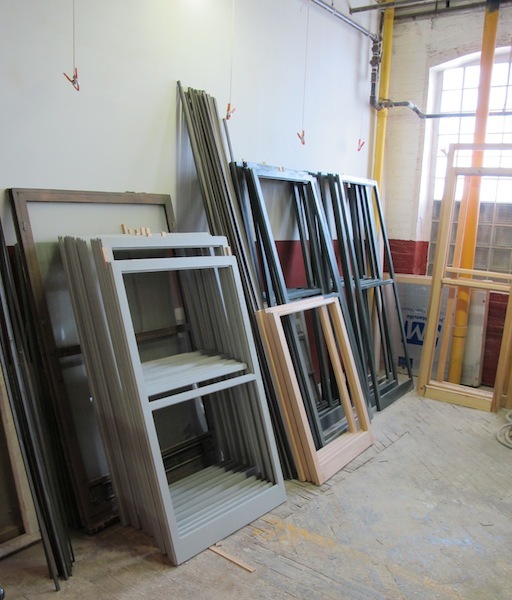 Batches of wood storms being constructed in our shop in Chicago. When the seals fail, the windows will fog and the entire sash must be sent to the landfill. Low-quality vinyl windows may experience seal failure within 5 years, while high-quality wood windows like Marvin, may last 50 years. However, primary/storm systems utilizing single pane, low-e glass can last indefinitely because of their repairability. A common misconception is that homeowners must climb a ladder each Spring to remove the wood storms, and then repeat the process in the Fall to replace them. However in most cases, the storms can be removed from the interior. Or, they can be set up as awning windows to tilt out for ventilation. Or we can provide a wood version with sliding storm/screen panels that can remain up year round. For the sides and back of buildings, where appearance may be less important, high-quality, low-e storms made of aluminum provide lower maintenance, with the convenience of sliding storm/screen panels. These are not the low-quality “triple-tracks”, which are still being installed around Chicago by people who are not aware that better options are available. 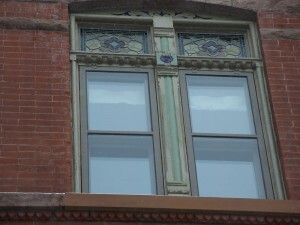 These windows also disassemble from the interior, providing ease of repair, should it become necessary. For certain specialized applications, where exterior storms are not an option, we can fabricate interior storms, (although performance of interior storms is lower than exterior storms.) There are many considerations and options available.